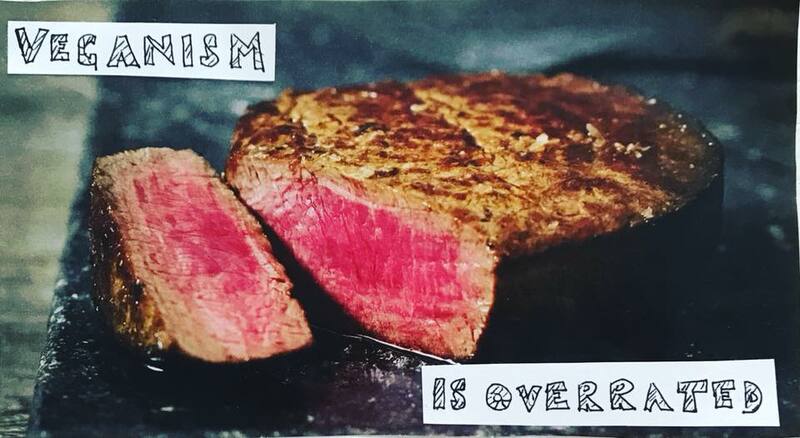 “I am sick and tired of hearing about veganism as if it’s some superior way of living. I say this because I have been vegan. I was in recovery from an eating disorder and thought that I would be ‘healthier’ by cutting out animal products. Nope, it wasn’t about covering up my eating disorder or even about caring for animals (which I do), it was about wanting to ‘fit in.’ I felt as though I had a whole heap of new friends, a community all on the same page. How wrong could I be. Apart from feeling as though I was still depriving my body of what it was screaming out for (meat, cheese, eggs), I also found a load of snobbery and a group of people constantly justifying themselves. I walked away for both my mental and physical well-being, and have never looked back.